Community Giving Project - June 2017 Bonus! 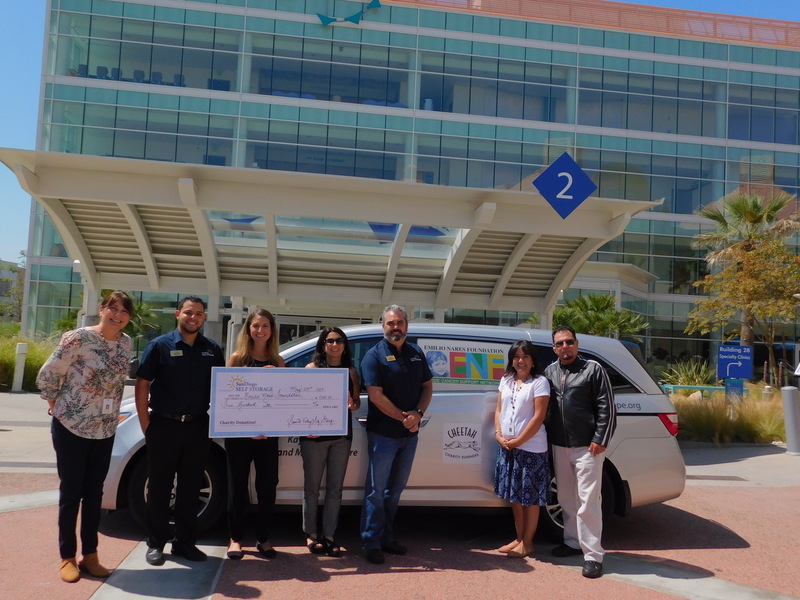 Sorrento Valley Self Storage chose to give to the Emilio Nares Foundation. When Emilio was diagnosed with Acute Lymphoblastic Leukemia (ALL), his parents Richard and Diane felt their world turned upside down cycling through emotions including fear, promise, desperation, and hope. Richard and Diane honored their son’s memory by creating the Emilio Nares Foundation (ENF) to help low-income underserved families meet basic needs, especially transportation. Emilio’s spirit can be felt in the hundreds of young patients ENF helps annually — laughter in the van, a comforting hand during hard times at the hospital, and the smiling eyes of ENF families. ENF is a group of remarkable people and the team at SVSS is delighted to make a contribution to an amazing organization. The money is going to be used to provide more transportation to more children and their families. To learn more about ENF, visit the Emilio Nares Foundation website.